Yandex, the leading Internet company in Russia has introduced Yandex.Phone, the company’s latest Android smartphone. 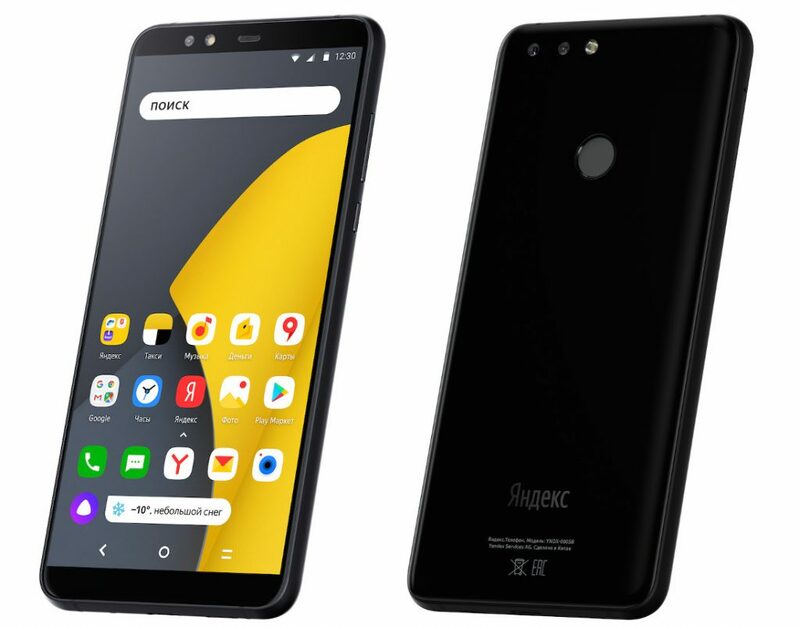 It has a 5.65-inch FHD+ 18:9 aspect ratio display with Corning Gorilla Glass 3 protection, is powered by Snapragon 630 with 4GB of RAM, runs Android 8.1 (Oreo) with Yandex Launcher, has a 16-megapixel rear camera with LED flash, 5-megapixel secondary camera for portait shots, and a 5-megapixel camera on the front that also has an LED flash. It has a glass back with Corning Gorilla Glass 3 protection, IP54 ratings for dust and water resistance, rear-mounted fingerprint sensor, and a 3050mAh battery with support for fast charging. The Yandex.Phone comes in Black color is priced 17,990 rubles (US$270 / Rs. 19,110 approx.) and is available from Yandex Store in Russia. It will be available from local telecom provider Beeline, M.Video and Eldorado retail electronics stores from tomorrow.